I suggest you read the Deism 101 and History of Deism articles before reading this one. This will help you understand the author’s views, which may be different from other views about Deism you may have read before. These are not scholarly articles, and they are not unbiased, but they are intended to help you understand a bit more about modern Deism from a contemporary Deist’s point of view. Some of the material used in this article comes from either the book, Deist: So That’s What I Am! or works by John Lindell, both used with permission. What follows is by no means an exhaustive study of the various types of Deism you may find today. The World Wide Web is too large, and Deism is too varied for us to cover everything completely in this short article. Beyond the common definition for Deism of reasoned belief in God, there are several additional categories of Deism, and we provide definitions for these below. What is presented is the most common definition for each variation. But keep in mind that these definitions will not fit all Deists who consider themselves part of the branches described. This branch of Deism is the oldest and closest to the “textbook” definition of Deism. Most Classical Deists base their belief in God on reason, nature, and experience. Classical Deists tend to take a balanced approach to belief in that they are both critical of revealed religion, and they are promoters of reason and Deism. The Deism of Thomas Paine would be considered Classical Deism by most, but not all, Deists. Even among Classical Deists there exists wide variety of beliefs, and not all Classical Deists agree on either their beliefs or their approach to Deism. Contemporary Classical Deism is probably best represented by the World Union of Deists. Modern Deism is not universally recognized as a distinct branch of Deism, but the number of people who fall into this group is too large to ignore. Modern Deism is the term used by members of a group of websites that later became the Deist Alliance. Sites such as Modern Deism, Positive Deism, Dynamic Deism, Deist Information and PONDER (no longer active) began promoting a positive and constructive form of Deism in the early and mid-2000s to counter what they felt was an overly critical and negative approach to Deism found elsewhere. Most of the original founders of Modern Deism are no longer active themselves, although some of their sites remain active. The Deist Alliance remains committed to promoting what was originally called Modern Deism. material on the Internet. Some have integrated Deism with the work of philosopher Ken Wilbur. The most active Panendeist site, Panendeism.org, is a member of the Deist Alliance. Deist. His Christian Deist Fellowship Website has been on the Internet in one form or another for 11 years. John believes that the human Jesus was a Deist, and he finds inspiration in his words. Spiritual-Deism (note the hyphen) is a long-standing Yahoo! discussion group. 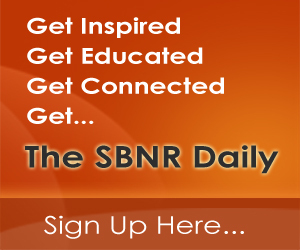 Members teach that “each person is an individualized expression of the Divine”. Spiritual-Deists believe in a personal God. The Spiritual-Deism discussion group tends to be politically active and socially conservative; there is a strong sense of cultural integrity and ethnic identity there, so it may not be everyone’s cup of tea. Spiritual Deists, Deists who consider themselves spiritual but not religious, have not as yet formally established a separate branch of Deism. Any Deist from any branch of Deism might consider himself or herself a Spiritual Deist. Unified Deism is a recent phenomenon that grew out of Modern Deism. The author of this article is one of its founders. Unified Deism is an attempt to unite the many branches of Deism and to provide some structure and organization to the promotion of Deism (not to organize Deism as a religion) in order to bring Deism into the mainstream. How successful Unified Deism will be remains to be seen. 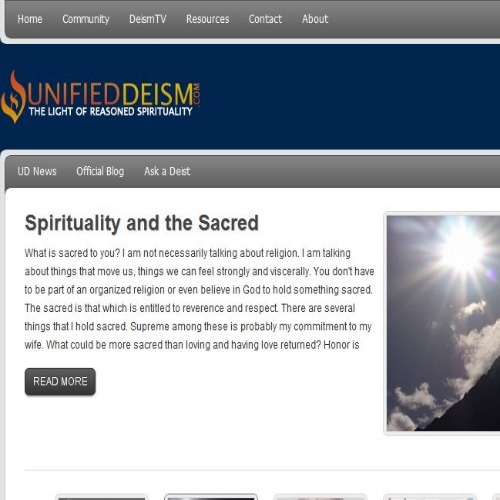 Unified Deism uses video and radio as part of its promotion efforts. Several other subcategories of Deism exist: Amorian Deism, Pagan Deism, Gnostic Deism, Sunny Deism, and other small subcategories. A Web search might reveal even more. Contemporary Deism has the benefit of many philosophical movements to draw upon since the Enlightenment. Transcendentalism comes to mind as a school of thought that has influenced many Deists. Intuition, inference, and imagination, as well as reason, have a place in today’s Deism. New forms of Deism spring up and fade away every day. Deism as there are Deists. Deism is that individualistic! The only requirement to be Deist is to believe in a power greater than self and to come to that belief through reason. My work. I started out many years ago to study alchemy. What I found is a 16 month process that is the basis of all religion today. It originally is the basis of the religion of Osiris, I mention as many havbe tied Osiris to Jesus and rightly they should. Now, what it is about. always it is about matter, An egg was used and a way was found in nature to regenerate the matter. The Process became what we know as Genesis today. The process is where the Original Virgin Birth came from, and the Original Resurrection. Many things today are tied to this process, but none knows of it or anything about it. what happened, the matter was Perfected over the time period. The ancients believed it proved God in Nature, thus the religion began. The matter is now called the Philosophers Stone of the alchemists. When you learn all there is to learn, you will know even Jesus was an alchemists. The point of this is, The ancients found god through nature. It was used as a religion for many years. Christianity changed all of it over time by destroying the past. It probably is thought lost, but I have found it. I have a web site, http://www.ThefirstMythology.com that explains a lot of this work and understanding. I am willing to talk to anybody and answer any question. My work is throughout the works of Gerald Massey and Sir Wallace Budge. It is Truly the past, your heritage rediscovered. as far as the religion, the original religion, all would becoem a Deist if they knew it as I am. All would know the God they though they knew is really the ancient God of nature found by the ancients. I have started to post to the forum and will continue. Thank you for this clarification, and for the heads-up about Spiritual-Deism. The mention of Pandeism is appreciated — we have a vibrant and stunningly quickly growing community of pandeists out there!! Ah, and dear friend, would you be so kind as to include a link to the YouTube PanDeism Channel where you make mention of Pandeism? I consider myself a Classical Deist, while following the teachings of Jesus. Ultimately, however, reason comes out winning.